Rylee Noe has been drawing ever since she can remember. According to her parents, she would color in the lines of coloring books without being told to do so when she was little. Her art, The Egyptian was selected as a Top Ten Winner in our Fall 2014 national art contest for students in grades K-12. Rylee’s career path in the future is uncertain, but she knows it will include art because it is a part of who she is. Jang Lee is a senior currently attending Flower Mound High School in Texas. 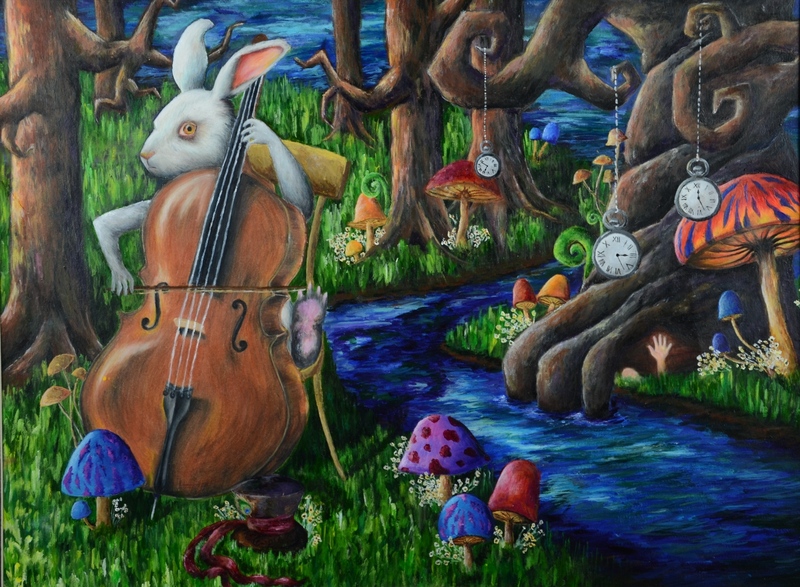 His piece, Concerto in Wonderland was selected as a Top Ten Winner in our Summer 2014 national art contest. In the future, Jang would like to attend the School of the Art Institute of Chicago as an illustration major. To learn more about our national student art contests, visit www.celebratingart.com. Allison’s art “Friends” was selected as a Top Ten Winner in our Spring 2014 national student art contest. At the time, Allison was attending Chinook Middle School in Bellevue, Washington. Allison has enjoyed art since she was little. She has been using acrylic for a couple of years and has recently started the media of oil painting. When creating “Friends”, she wanted to paint something new using the new techniques she’s learned from her art teacher. In the future, Allison hopes to have a career involving art and would like to learn all the different medias of art and master them, as she knows there are many things other than oil painting waiting to be learned and experienced.